The EU ATBEST project has recently hosted its final international conference from 7 to 8 September 2016 in Linköping, Sweden, where it outlined its toolbox of innovative solutions to support and promote the future growth and sustainability of the European biogas sector. 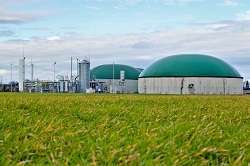 Biogas, a mixture of methane and carbon dioxide, is a source of carbon neutral energy for electricity generation, heating and transport, which can make a significant contribution to achieving Europe's far-reaching and ambitious climate change commitments. However, the production and utilisation of biogas is not yet equally established around Europe, currently relying on government subsidies to ensure the development of biogas infrastructure that would not only be environmentally sustainable but also an economically viable investment. In order to address these structural and financial challenges, the ATBEST (Advanced Technologies for Biogas Efficiency Sustainability and Transport) project's outputs have focused on delivering improvements to the effectiveness and efficiency of each stage of the biogas supply chain. These include investigating alternative feedstocks and better digester configurations, novel monitoring techniques, new biogas upgrading solutions and improved biogas utilisation techniques. 'The ATBEST researchers have produced some excellent work which will influence the biogas industry across Europe as it faces challenges posed by reduced government subsidies and competition from other renewable energy technologies,' commented project manager Dr. Simon Murray from Queen's University, Belfast, UK. 'For example, we have developed new knowledge surrounding control of viscosity in digesters which will lead to lower mixing power requirements, novel absorbents which will reduce the size of, and energy used, by the equipment employed to upgrade biogas to biomethane, and explored alternate biogas utilisation technologies which will capture the energy which is currently lost when biogas is used in a CHP engine.' He continued by explaining that all of this work has been underpinned by life cycle analysis and economic modelling that will allow the correct decisions to be made to ensure increased economic and environmental sustainability of the biogas industry. The project's final international conference, with more than 90 participants from Europe as well as representation from Brazil and South Africa, aimed to combine both the outcomes from the project in terms of new contributions to the scientific community, as well as active engagement with a range of stakeholders from the biogas sector to support active discussion for the future of the sector. The conference - a cooperation between Linköping University, Scandinavian Biogas Fuels AB, the Swedish Biogas Research Centre (BRC) and the QUESTOR Centre at Queen's University Belfast- included sessions on the potential of anaerobic digestion (AD) technologies and their applications, the importance of new feedstocks, innovative digestion conditions, process monitoring and sustainable investments. During the first day, the conference focused on applied solutions for biogas optimisation, including presentations on novel techniques for biogas upgrading, synergistic possibilities for the recovery of CO2 into valuable commercial by-products, as well as addressing the technical challenges for full-scale implementations. The importance of AD as a driver for societal progress in times of change was highlighted by Prof. Willy Verstraete (Ghent University, Belgium). Topics such as development of macroalgae as a substrate for biogas production, microbial community structure and their correlations with process operation and productivity, sustainability and life-cycle assessments of feedstock digestion systems, and arable land as carbon sink including carbon sequestration in biogas systems were also addressed. 'Biogas is a growing sector not yet fully exploited,' stated Dr Francesco Ometto, one of the ATBEST project researchers. 'Although the technology and knowledge is there, in comparison with other renewable energy sectors, biogas is still too small 'to make a difference'. The conventional concept of an AD system where waste material is converted to methane and fertiliser has now passed.' He further outlined the belief of the ATBEST community that future biogas production will be integrated with other sectors providing substrates (e.g. the aquaculture, pulp and paper industries) or the capability to develop high valuable products from the post digestion material, such as pure protein from nitrogen as suggested by Prof. Verstraete. The project also had an educational focus, with a key aim being the delivery of industry-relevant training to 14 researchers specialising in the biogas sector, which included secondments and participation in 3 dedicated summer schools. ATBEST has also fostered the growth of collaborative partnerships between 8 organisations from four EU Member States (Germany, Ireland, Sweden and the UK). Each collaborator has brought their own complimentary expertise in a wide range of environmental technologies to the project that will go a long way towards building the future prosperity, competitiveness and sustainability of the European biogas sector.